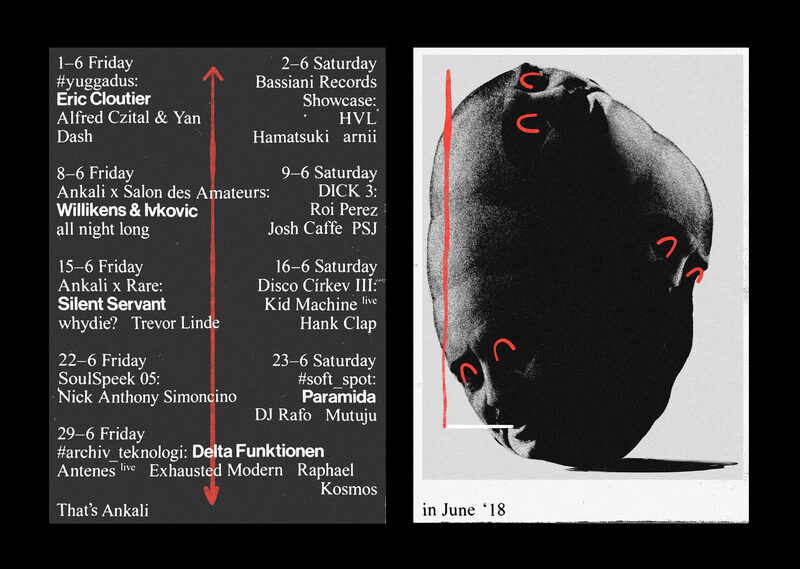 Yuggadus, the monthly trip into a hypnotic dungeon, is back on June 1st with guest djs Eric Cloutier and Dash as well as the residents Yan and Fred. The journey of the Berlin-based Eric Cloutier began in Detroit, but it was during the time he spent in New York as a resident of The Bunker (a local techno institution) that the world started to listen. Cloutier’s visceral, bodily approach to club sounds is familiar yet intricate, drawing from the bleepy residuals of early minimal of Daniel Bell, Midwest warmth as well as the contemplative incantation of contemporary Acid. Also on the bill is local studious head Dash, a member of Duna collective and a resident of REM Phase party in Prague’s Cross Club, but first and foremost an impeccable dj with an ear for metallic techno hypnosis. Wrapping up the lineup are Yuggadus’ usual suspects Yan and Fred with an unmistakable selection of hallucination-inducing trax.